Jamie here to share a cute treat using this month's spotlight set. 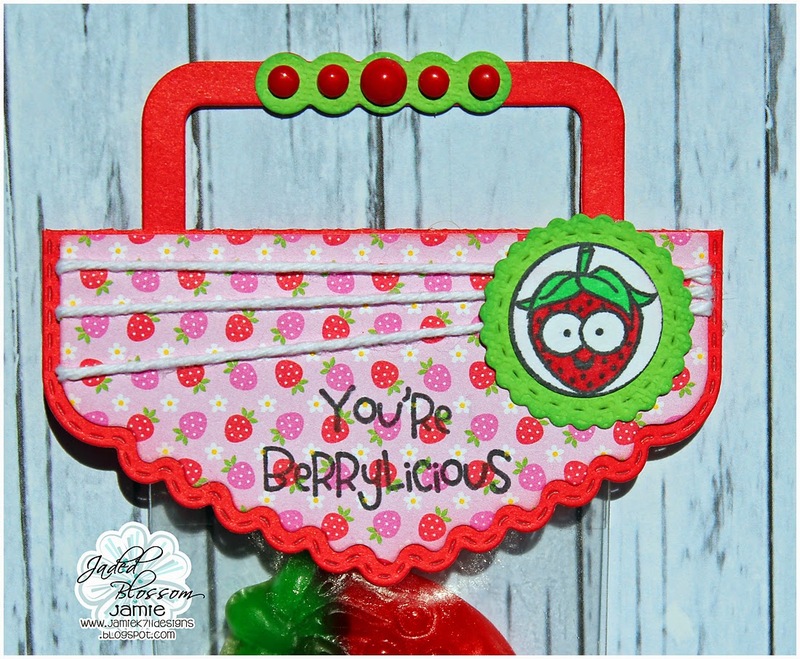 I filled a Nugget Bag with some gummy strawberries and used the Dainty Topper Die. Then I wrapped some twine around the insert and added the strawberry from Fruity Candies to a Candy Charm Die. Last I added a sentiment from Berrylicious. Just wanted to tell you again how cute this really is! I came for an event and was amazed how fantastic this function room was. The view at Las Vegas Weddings was amazing and the layout does have a nice flow - which was great! Return - The new boss, Anthony Séchaud had proven the technical group. timberland outlet uk He will have to manage the return after injury of both world champions, the Iséroise Marion Rolland (downhill) cheap timberland boots and the High Savoyard Tessa Worley (giant slalom), he knows well. Both girls gold Schladming 2013 do not promise sparks, timberland outlet sale at least early in the season, especially Rolland.